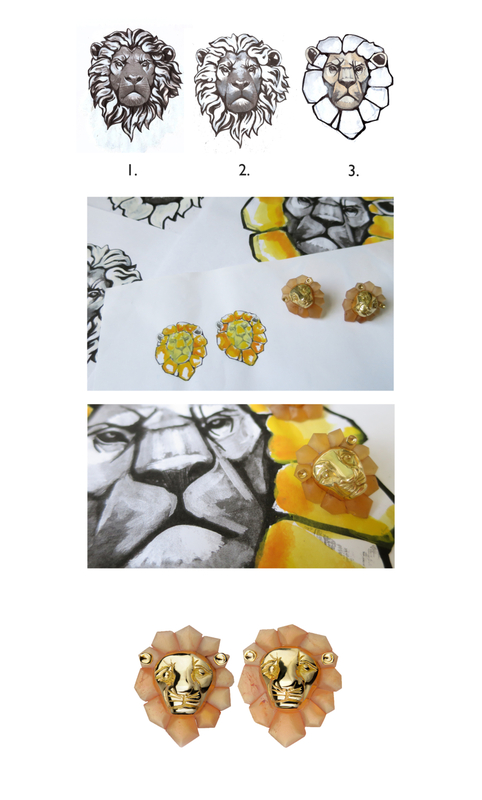 TP London were approached to produce a pair of lion earrings as a gift for an animal lover. The brief was to evoke the majesty of the beast in a beautiful and recognisable manner whilst ensuring that they were the sort of earrings that could be worn everyday – a piece of jewellery that would look just as good paired with jeans as it would a beautiful black tie dress. Working from images of the animals in their natural environment, as well as portrait sculptures, Tessa and her team were able to capture the character and essence of the lion in black and white drawings, before reducing the design down to simpler, more geometric forms to give a modern day twist to the design. The result was a beautifully fun pair of 18ct yellow gold and mandarin garnet earrings, complete with custom-cut mane and little gold ears.